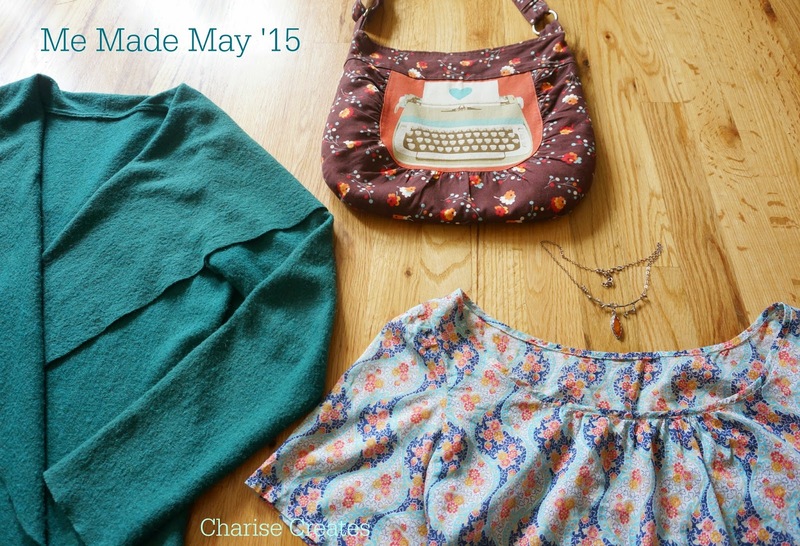 I decided to join Me Made May '15 and it has been such fun. If you are not familiar, the challenge was created by blogger So Zo as a way to wear our hand made creations. You can read more about it here. It has been a great way to see what items I am missing in my wardrobe and there are definitely some holes. The outfit above includes a blouse from New Look 6895 with a beautiful cotton lawn. The sweater coat is a design for Sew News you can find here. The purse is a pattern in the works - the Marcia Bag. 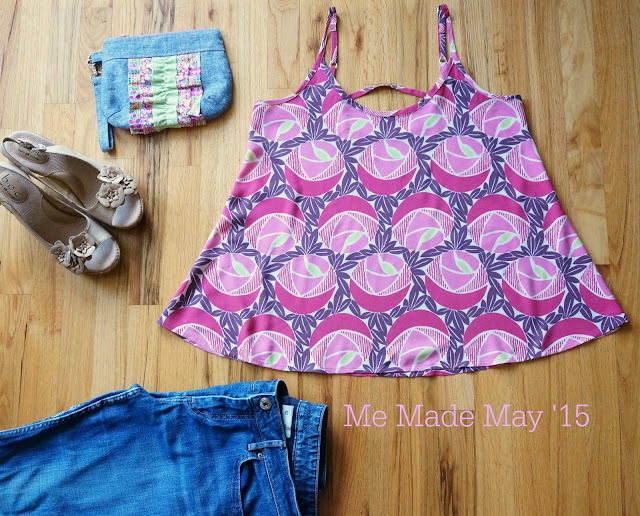 I love the typewriter fabric from Melody Miller! Necklace is a Sterling Silver Carnelian Branch necklace. The blouse above is a free pattern from Martha Stewart. You can find the pattern and tutorial here. The "Shopper Purse" is from the lovely gathered purse trio. The Ruffle Clutch was designed for the Liberty Craft Blog. You can find the pattern and tutorial here.